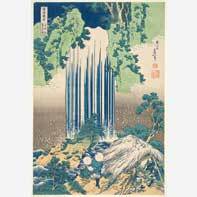 The newly redesigned Japanese gallery spotlights WAM’s very rare, first edition impressions of A Tour of Waterfalls in the Provinces (ca. 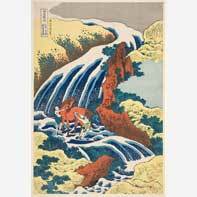 1833), a masterpiece woodblock-print series by the famous Japanese artist Katsushika Hokusai (1760-1849). 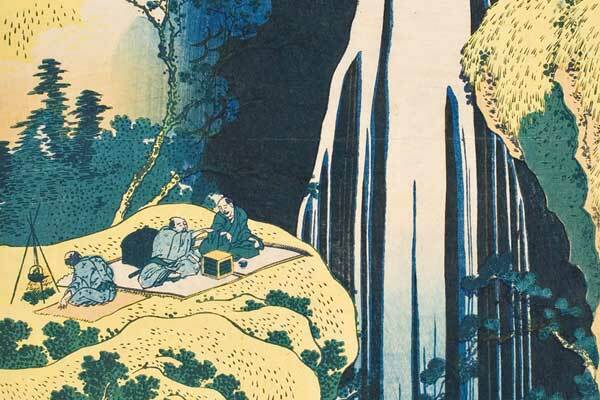 Pioneering the theme of falling water, Hokusai made liberal use of the newly fashionable imported Prussian blue pigment and imbued the prints with atmospheric breadth and timeless intimacy through his faith in the purifying power of waterfalls. A permanent display of Japanese ceramics, ranging in date from 17th century to the 21st century, as well as the imposing early 10th century wooden sculpture of the Eleven-headed Kannon, will also be on view. The opening of the gallery is made possible by funding from Margaret Hunter in memory of Mimi d. Bloch and the E. Rhodes and Leona B. Carpenter Foundation. Shinto and esoteric Buddhist beliefs. The prints on exhibit are very rare, superb first-edition impressions, donated to the Worcester Art Museum in 1901, as part of the John Chandler Bancroft collection. Spiritual practice within the indigenous Japanese religion known as Shintō; (Way of the Gods) aims at becoming like the flow of water that blurs divisions and transcends boundaries, and many devotees practice purification rituals under waterfalls (taki shugyō ). 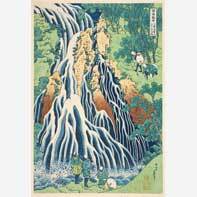 Hokusai believed in the natural sacredness of water and waterfalls to cleanse and restore life in accordance with the revitalizing flow of Divine Universal Consciousness (kannagara). This innate faith imbued the prints with atmospheric breadth and timeless intimacy. Hokusai died in the fourth lunar month of 1849. The haiku he wrote just before his death reads: “Now as a spirit I shall lightly roam the summer fields” (Hitodama de / yuku kisanji ya / natsu no hara).